The Hilti brand of power tools is our most commonly purchased drywall contractor tool. We carry drywall screw drivers, nail guns, and routers for wood and steel. Most have a corded and cordless version, with powerful motors, high r.p.m and ergonomic design. The Hilti cordless versions are designed for exceptional performance and running time. The majority of the fasteners that we supply are Hilti products as well and provide for quality finishes across the board. We have a wide range of fasteners for drywall, metal stud, and wood application. Sizes ranging from 7/16 to 3 inch. 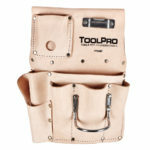 We carry a few different drywall pouches for contractors with different options for number of pockets, colors, and sizes. 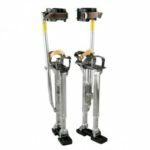 If you work on stilts, we have every component that you need. If you’re looking to put together a brand new stilt set, we can help with that too. 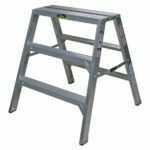 Our drywall benches range in width, weight, and purpose. Our finishing knives and mud pans are Wal-Board and Pro Tool brands. The selection has every commonly used knife that you’ll need to complete your job.